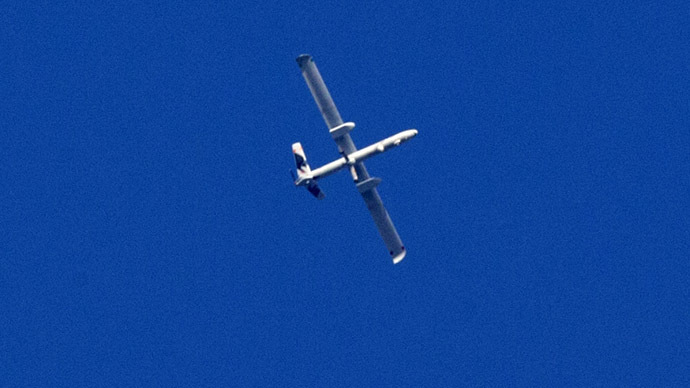 An unidentified drone has been spotted over a naval communications center near Paris. A police helicopter deployed to the scene failed to intercept the intruder which had been surveying the strategically sensitive site. The small drone made a total of three flights over the Sainte-Assise command and control centre over the weekend in yet another occurrence in a series of similar drones incidents in France in recent weeks, Le Parisien reported. The sensitive facility, guarded day and night, features very high antennas – some over 200 meters high – and a powerful transmitter that ensures communication with French submarines at sea. Police said on Sunday, that only two of the drone’s flights were recorded, prompting a police helicopter dispatch which failed to intercept the drone – or what may have been two lookalike drones. The triangular grey machine, about a meter and a half wide, was first spotted on Saturday above the D 346 highway near Cesson-la-Foret flying towards the base. Then, the drone “flew over the center of Sainte-Assise three times,” the anonymous Le Parisien source said. Yet another source told Le Parisien that similar drone incidents had previously happened at the Sainte-Assise facility, claiming that one of the devices even crashed at the site. 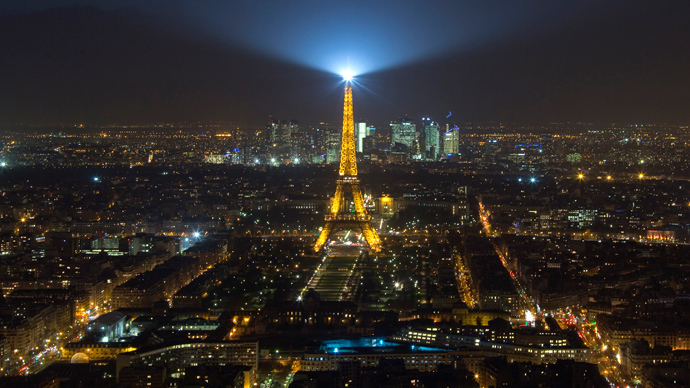 Since last October at least 60 drone overflights have been recorded over sensitive sites in France such as nuclear power plants, or the city of Paris, according to the Interior Minister, Bernard Cazeneuve. 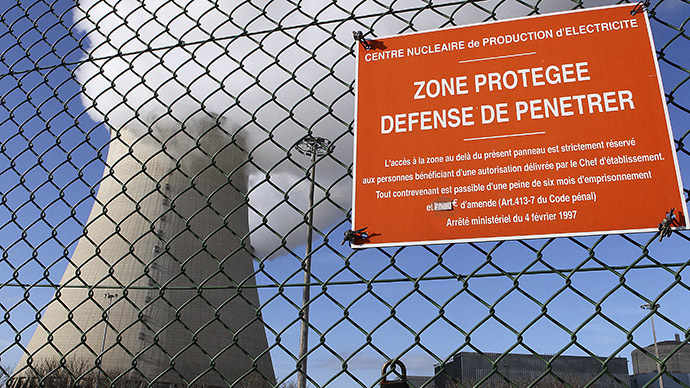 In January, suspicious drones had reportedly been detected several times near the military site of de l'Île Longue, home port of four nuclear submarines. The aviation police (GTA) is now responsible for the investigation of the latest incident. According to French police, a growing number of unidentified drones have been flying over the French capital in recent months. Small vehicles were previously spotted near the US embassy, on the same street as the French president's palace and the Eiffel Tower, to name a few. 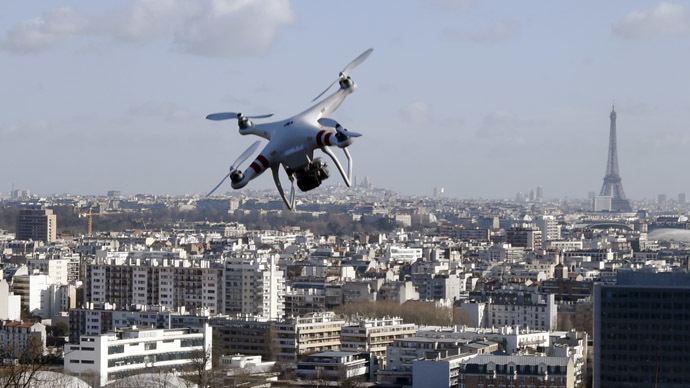 In a separate incident on March 9, French police arrested a man and a woman, both aged 48, for flying an unmanned vehicle over the Palace of Versailles, Europe 1 radio reported. During police questioning the couple stated they only wanted to take photographs of the landmark palace at night. The drone was seized by police. Earlier this month, police arrested four German journalists trying to launch a drone in the French capital. The incident came days after three Al Jazeera journalists were detained for allegedly flying an unmanned vehicle.